This past Monday, I ventured over to the Mission for a few work-related errands. My friend Catha is spending the summer interning for La Cocina, a kitchen incubator dedicated to low-income food entrepreneurs in the Bay Area. She had suggested I stop by one of the La Cocina businesses, Chaac Mool, which has a food truck daily in Dolores Park. I chatted with Luiz Vazquez Jr, son of the owners Luiz and Maria de la Luz Vazquez, who gave me some background on Chaac Mool. His father’s mission is “to show everyone what Yucatecan food is,” that is, food from the Yucatan region of Mexico. The cuisine and the Chaac Mool truck are both famous for their cochinita pibil, which is a slow-roasted (6 hours!) pork marinated in citris and encrusted with annatto seed, a peppery nutty seed. Unfortunately, because I’m still very slowly easing my way back into the world of meat-eating, I wasn’t quite ready for the pork. 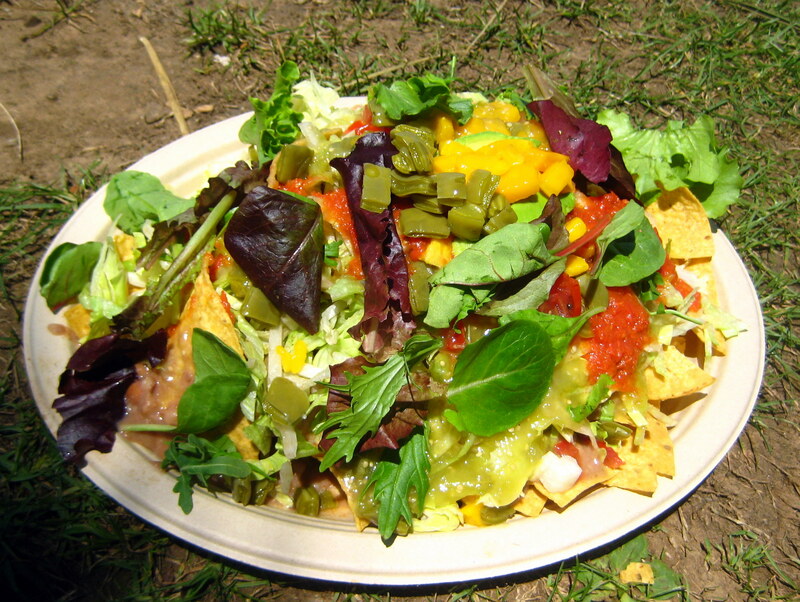 Instead I opted for the vegetarian nachos, whose name really doesn’t do justice. I was delivered a massive plate exploding with fresh greens, mango, cactus, avocado, delicious beans, and of course tortilla chips. It was fresh and delicious, and I didn’t even come close to finishing. 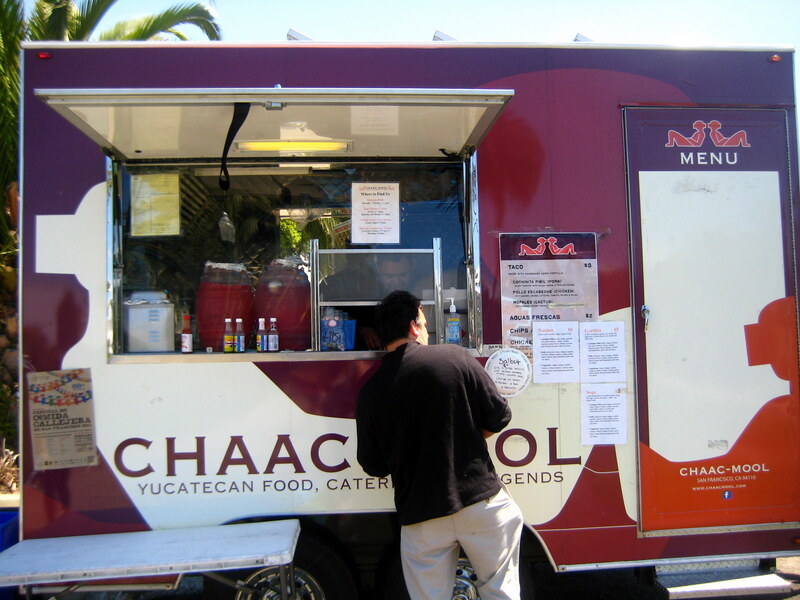 If you find yourself near Dolores Park at lunchtime, I recommend giving Chaac Mool a try. And if you taste the famous cochinita pibil, let me know if it’s everything it’s rumored to be.